The family couch is the centerpiece of a home. Families gather together on the couch to share stories from their day or read a book or watch a movie or television together. Pets love sofas and couches too. Homes with pets are familiar with the family dog or cat using the couch for their afternoon snooze. The living room couch gets a lot of use in most homes and most couches are upholstered. Because the couch serves so many functions the upholstery can get very dirty very fast. If you want your couch upholstery and other furniture to maintain its color and quality for many years you will want to hire a furniture cleaner or sofa cleaner for couch cleaning often. Furniture manufacturers recommend cleaning couches and sofas every 18 months or more often if the couch receives a lot of wear and tear. 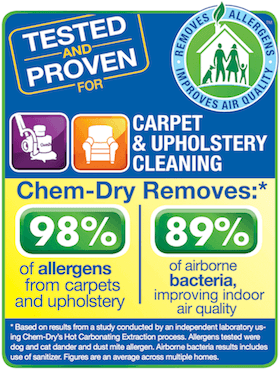 Chem-Dry of Fort Wayne upholstery cleaning service cleans couches and sofas with green solutions and extraction equipment for superior results. It’s the same methods as our carpet cleaning. If you do own a pet, we would definitely recommend our furniture cleaning process because it is safe for all animals and it removes over 98% of allergens from upholstery, including pet dander often found in homes with pets. Our upholstery cleaning service is very thorough. The Chem-Dry of Fort Wayne technician will clean the back of the couch, the arm rests, any removable covers or cushions and the headrest and backrest of the couch. The headrest is often the dirties upholstery on the couch. Just as you should be careful hiring cheap carpet cleaners, be careful hiring cheap furniture cleaning services or upholstery cleaners. A Fort Wayne furniture cleaning company without the proper equipment or training could do permanent damage to your expensive couch. If the couch is leather be sure the furniture cleaner is certified and qualified for professional leather cleaning. 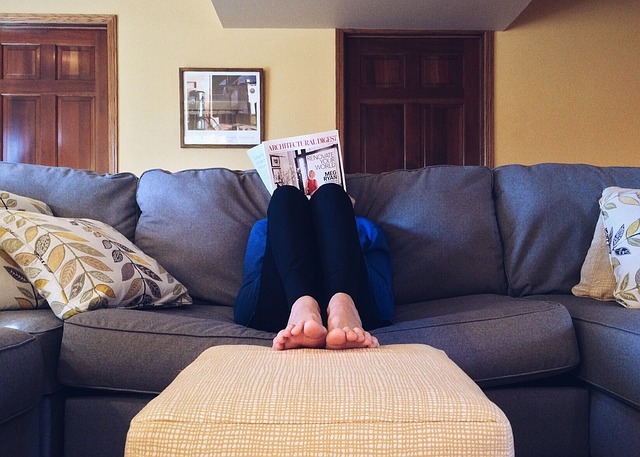 If your couch is in need of cleaning, or your chairs, recliners, cushions or car interior, call Chem-Dry of Fort Wayne at (260) 409-1138 to schedule upholstery cleaning today!